For What It's Worth: A Month of Treats: Interview with Author Stacey Kade! 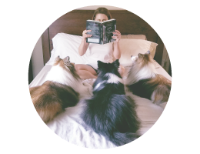 A Month of Treats: Interview with Author Stacey Kade! 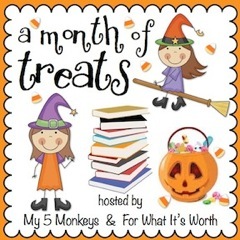 Welcome to week one of a Month of Treats, co-hosted with my friend Julie from My 5 Monkey's! Welcome to For What It's Worth Stacey! Karen: Do you have a favorite Halloween memory? 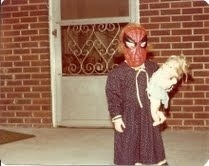 Stacey: I begged and begged to be Spiderman when I was four or five. And God bless my open-minded parents, they let me. No girly princess costumes for me that year, lol. K: Do you prefer tricks or treats? K: What is your favorite Halloween candy? S: Those little Reeses's Peanut Butter cups shaped like pumpkins. K: Do you have any fears or phobias? K: What is your favorite scary movie or book? S: I know it's ridiculous given what I write, but I don't actually like scary books or movies! That being said, I read and loved World War Z, even though it kept me up at night. And I don't know if it counts as a scary movie or not, but I love Disturbia. Karen: World War Z....good choice! It was creepy on a lot of levels. I hope the movie is just as good. K: What is your best, worst or funniest costume you've ever worn? Karen: Thank you for sharing your Halloween memories, fears and pictures Stacey! Read part two of Stacey's interview tomorrow on Julie's Blog where she answers the all important question...."It's the end of the world. Who would you prefer to battle against? Witches, zombies, werewolves, vampires or ghosts?" and another giveaway of course! From her first childhood scribbles about a magical necklace that would turn people into cats, Stacey has long been fascinated with what happens when the “ordinary” bumps up against “out of this world.” What if aliens landed on Earth? What if the afterlife is really just another dimension? She lives in the Chicago suburbs with her husband, Greg, and their three retired racing greyhounds, Joezooka (Joe), Tall Walker (Walker) and SheWearsThePants (Pansy). When she’s not reading or writing, you’ll likely find her parked in front of the television with her Roswell DVDs, staring rapturously at Jason Behr. Now for the first giveaway! Enter using the form below for a ghostly giveaway! Ends 10/30! All Month of Treats winners announced on 10/31! ENTER USING THE FORM AFTER THE JUMP!! i kinda believe in ghosts but have not seen one yet. Ooooh! That Spiderman costume is epic win. So happy to know that your parents totally went with it. Thanks for the great interview and giveaway. Ahh, I am totally afraid of birds as well! I have been ever since I was a little kid and my parents have no idea why. I don't believe in ghosts, though I do believe in spirits, if that makes sense. I don't read a lot of ghost stories, but I have been enjoying the Past Midnight books by Mara Purnhagen. My favorite ghost book can be Shade right? ;) I think Shade and Shift are the only ghost books I have read, not sure. And I don't believe in ghost, but the thought of no privacy is scary. OMG I just thought about it and I don't think I've read any ghost books...Non that I can recall anyway. There has been some movies with a ghost somewhere in there.. in Supernatural (TV series) there are a lot of episodes with ghost. I don't think I like them, tho. I easily get scared and translucent shapes going through the walls... no thanks! Hmmm my favourite would probably be Shiver by Cliff Mcnish. Creepy! But great! And yeah I believe in ghosts. Don't know why, but I just do. Oh it's a difficukt question, I think my best books with ghosts are Karen chance series. I don't think I beleive in ghosts either. The spiderman pic is beyond awesome!! Thank you for sharing!! i've read book #2, and i'd love the chance to read the first one! best ghost book: Ruined by Paula Morris. I haven't read much ghost books and can only think of the one I am reading now which I am loving which is Shade by Jeri Smith-Ready. Thanks for the giveaway. 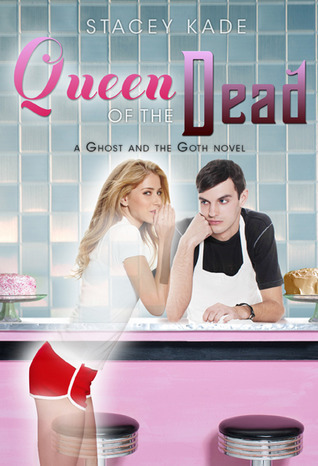 I've been wanting to read the Ghost and the Goth series for awhile. My favorite ghost book would have to be Jade Green by Phyllis Reynolds Naylor or A Certain Slant of Light by Laura Whitcomb. My favorite movie is The Orphanage. I don't really have a favorite ghost book so my favorite ghost movies are Paranormal Activity 1 & 2! I love the pumpkin-shaped Reese's too! I love Lynn Kurland's ghost books, she's written several - Stardust of Yesterday and My Heart Stood Still. Lovely ghost romances from a while back. in movies, I always loved Ghostbusters, that was a great movie. My favorite ghost book is the Shade series by Jeri Smith-Ready. Great interview and giveaway.My favorite ghost movie is Ghost:) And yes I do believe in Ghosts. I have not read these, but heard really good things about it. I find ghosts really fascinating. I don't know if I could choose my fav. ghost book or movie. I think I'd have to see a ghost in order for me to believe. My fave ghost movie is still Lady in white. the one with Lucas Haas as a little kid. It has some really sweet moments and some truly creepy moments. It terrified me as a kid in a way that mesmerized me at the same time and when I rewatched it recently it really held up! Fab interview! I love these books. My favorite Halloween costume was a 50s poodle skirt - probably because my mother made it. Another year, I dressed up as a pound puppy and that was really cute. My favorite ghost movie is Ghost with Whoopie Goldberg, that has to be one of the funniest flicks around :) Thank you for the fun interview and giveaway opportunity. I love the movie GHOST with Demi Moore. It's great to watch. Without a doubt my favorite ghost books are Stacia Kane's Downside series which begins with Unholy Ghosts. I also loved Kendare Blake's Anna Dressed in Blood and Jeri Smith-Ready's Shade as far as YA ghost books. Thanks for the giveaway! I love the Spiderman costume!! My favorite ghost books are the Shade series..but I ahvent read the ghost and the goth..I would like to..which is why I am entering this giveaway! My favorite ghost movie is Ghost with Patrick Swayze and I really love The Ring movies. I don't read much with ghosts in it, but The Ghost and the Goth definitely rocked. And J. Frost's books are getting ghost-filled lately. I adore Ghost with Patrick Swayze and Demi Moore. I cry every time I see it. As for books, I loved Grave Witch and Grave Dance by Kalayna Price featuring a witch who can raise the dead. Do I believe in ghosts? I've never actually seen one, but I do believe in them anyway. I haven't read any ghost books lately. Well, there's always A Christmas Carol. The movie that always gets me is the one with Michelle Pfeifer and Harrison Ford... ah I can't think of the name of it. Anyone?? My favorite ghost book is The Graveyard Book by Neil Gaiman, D.J.MacHale's Morpheus Road series & Neal Shusterman's Skinjacker trilogy. Although, from the adult is The Restorer by Amanda Stevens. Great interview & thanks for the giveaway! Great interview. I've really wanted to read the Ghost and the Goth. And I have read some ghost books. but none of them really appealed to me. and as for the movies, I enjoy those which I find rather thrilling. Reeses in any shape are fantastic! ;) Great interview, and thanks so much for the giveaway! Movie hands down is Ghost! Love love love that movie and now that I think about it, I can't believe I don't own it. Must fix that! I love the movie Ghost..I know it's scary but it is so good and so cute! Laura Whitcomb's A Certain Slant of Light is quite good. It was cute although I don't really believe in ghosts. Hmm...I think I'd probably have the best shot against werewolves, if I had to pick. Thank you for the awesome giveaway!!! I just saw Ghost and liked it. My favorite ghost movies: Romance-Ghost, Kids-Casper, funny-Beetle-Juice. Book-wise, I always loved all the Scary Stories books. I liked the movie Ghost with Demi Moore. I don't believe in ghosts myself. I liked the movie Ghost and The Others. Can't think of a ghost book of the top of my head. I don't really believe in ghosts, and my favorite ghost movie was Ghost with Patrick Swayze. I agree... treats over tricks. And Reese's cups definitely win! Favorite ghost movie.....well it has to be ghost! I cried like a baby and I too love treats and snickers mini's Great giveaway! Thanks for the chance. I do believe in ghosts and my favorite ghost movie is The Changeling. It's so hard to choose a favorite ghost movie, but my favorite ghost book is A Certain Slant of Light. My favorite creepy ghost movie might be El Orfanato. Casper! And I'm entirely sure. Sometimes I'm convinced that ghosts are real and other times I think they don't. I haven't read any ghost books at all, BOO! 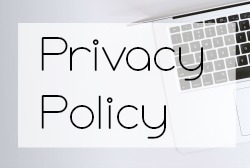 Great post & giveaway! I do believe in ghosts...and I loved that movie The Others with Nicole Kidman! I think there are some kind of spirit out there...not sure if they are ghost...but there are somthing! I really enjoyed Bad Girls Don't Die by Katie Alender, it is one of my favorites! Favorite ghost movie is Ghost! Hocus Pocus is one of my favourite ghost movie. It's fun. My favorite ghost movie is Ghost with Demi Moore. I havent read any ghost book yet!! thanks for this and for making it international! I love the interview! Very entertaining! Oh and thanks for the giveaway too!! I believe my favorite film would By Ghost with demi moore and my favorite serie is by karen chance " cassie palmer 'serie"
I really enjoyed Grave Witch by Kalayna Price. She raises the dead and there is a ghost following her around, don't want to give spoilers but it's really good, so is book 2. Yes, I def believe in ghosts. Ghost book would be Wake Unto Me by Lisa Cach. I LOVE scary books and movies. My favorite scary movie is The Exorcist. Of course I believe in the paranormal and ghosts. I like the movie Casper. © For What It's Worth: A Month of Treats: Interview with Author Stacey Kade!